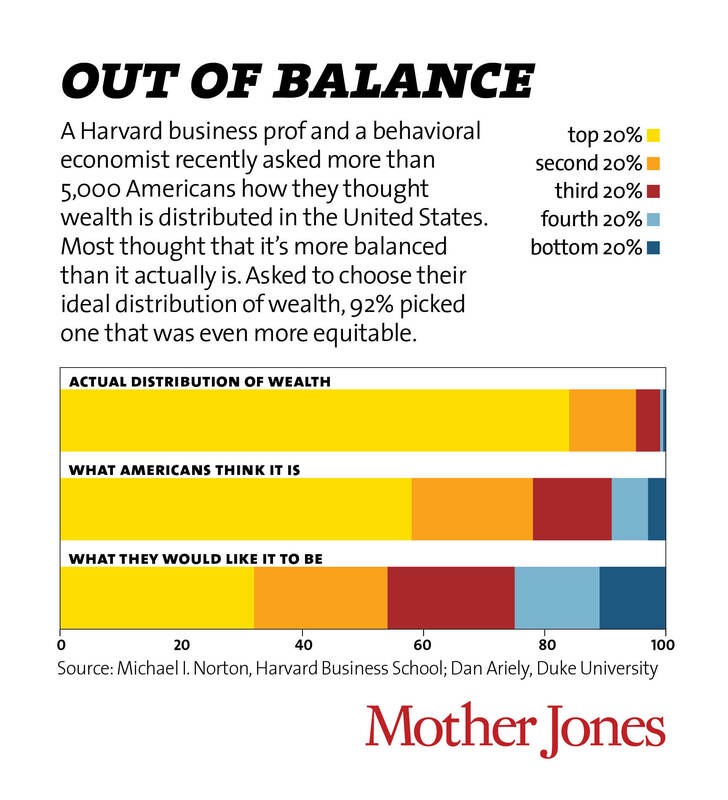 Suppose we want to measure the wealth gap of a nation. 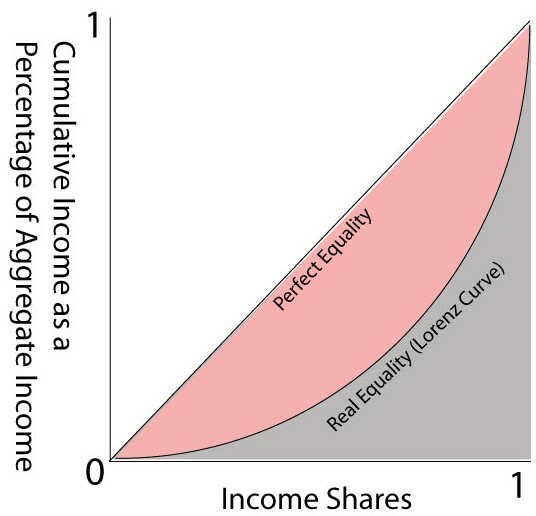 The Gini coefficient does this by measuring how far away we are from perfect equality. Consider the following graph. The US Gini coefficient has moved up from .408 in 1997 to .45 in 2007 and ranks 39 out of 136 nations for highest Gini coefficient . Consider the US income distribution in 2005. It demonstrates that a clear majority of the population earns an income at the relatively low end of possible incomes in our economy. This sort of curve isn’t too surprising since those who acquire relatively more resources initially can in turn acquire additional resources easily since they can afford costly investments with large payoff. This presents a problem of endgame capitalism. The idea is that if a system has a finite amount of resources and a finite number of people attempting to acquire as many resources as they can such that none have 0 resources, then the instability of socialism (where everyone has the same amount of resources) will force some to have more, and in turn make it easier for them to get more by contracting others (i.e. forming a corporation). Slowly those with less lose more and more over time until several “corporations” remain. Then the process repeats, and eventually we are left with a single owner, or at least one person getting arbitrarily close to possessing all of the resources. To combat this endgame, we are left with political policy. The highest tax bracket in the US is 35% and applies to households making over $373,000 . That is less than 2% of the population. There will come a point in our future where we will have to decide between “fairness” and efficiency. It would be far more efficient for very low incomes to have 0% (or at least very low) tax rates and for the upper echelons pay bigger percentages. They could still rank far above the rest after taxes. During previous time periods taxes were raised to combat the costs of the federal government (in particular WWII in 1945). 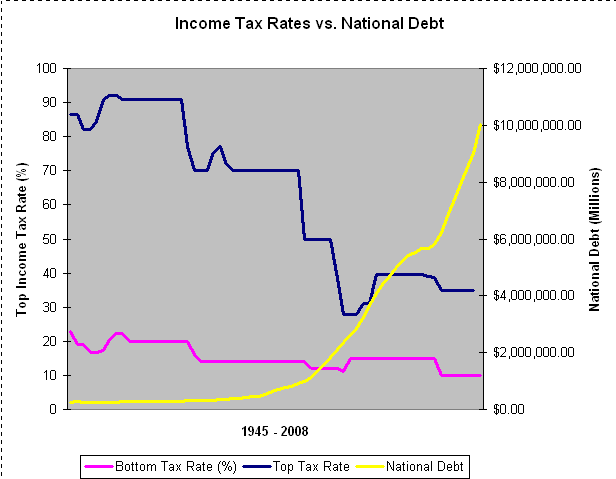 Also of interest (as Greg points out) is the correlation between the decrease in the top tax rate and increase in the national debt.